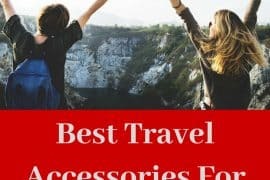 Welcome to our review post of the best lightweight travel strollers in 2019. Our top recommended lightweight strollers are fantastic to take on an airplane, international travel, and also for everyday use. The variety of strollers for babies, infants, and young children is overwhelming and make it challenging for us as parents to find the best lightweight travel stroller for our families needs. 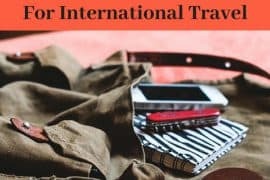 My post is focusing on the best lightweight travel strollers that can be gate checked for airline travel; for domestic as well as international travel. They are usually called Umbrella Strollers because they fold down to a compact size. So if you are looking for a travel stroller that you can take on board the airplane, please read on. The airlines have specific requirements for strollers to take on a flight. Our top 9 best lightweight travel strollers meet those conditions and can be taken on board as carry-on luggage. Important Disclaimer: even though our recommended strollers meet airline requirements according to our research, please double check with your airline before your flight. Airline policies change so often that it is hard to keep up with them. The point of taking a travel stroller on your next trip is not only to make your child feel as comfortable as possible but also making your stay at the airport as stress-free for you and your little ones. Your child can sit comfortably in the stroller and may even take a little nap when you are navigating your way around the airport. 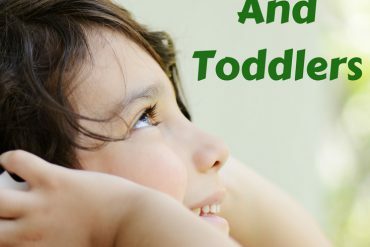 Especially if you have a very active toddler, a little ride in a stroller can make all the difference. It will calm you and your child and takes the stress out of running after your little munchkin. Another important fact is that taking the stroller on board also means no damage by the rough handling by the airport staff at check-in. Extra tip: when you are traveling with a baby or infant, it is also a good idea to take a baby wrap or sling, so he or she feels more comfortable by being close to mom and dad. To find the best baby sling, please read our post Guide To The Best Baby Carriers For Babies And Toddlers. These baby carriers are fantastic on board the aircraft as well, where babies usually feel quite unsettled. Another important factor of using a lightweight stroller is that once you have arrived at your destination, it is much easier to explore your surroundings with an active baby or toddler in tow. All of our recommended strollers also have a basket for additional storage space. 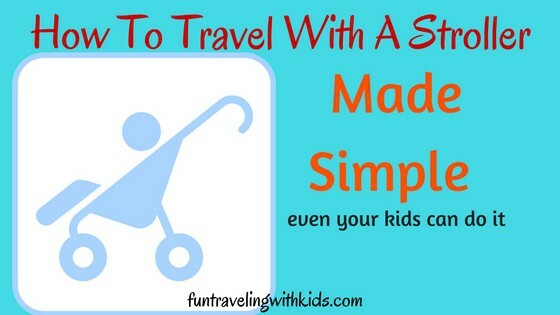 Traveling with a stroller is practical in so many ways. Please refer to our comparison chart for a quick overview of the price, features, and weight. To view the price, please click either on the image or the link underneath. It will take you to the Amazon product page. Baby Jogger City Tour From 6 months up to a weight of 45 lbs 14 lbs $$ The Baby Jogger City tour stroller is great for traveling and folds down to a small compact size. Fits in over head bins. Zoe XLT Deluxe From 6 months to 50 lbs 16 lbs $ The Zoe XLT Deluxe is great value for money and offers a lifetime warranty on the wheels. 2017 GB Pockit Lightweight Stroller From 6 months up to 55 lbs 9.5 lbs $$ The 2017 GBPockit Lightweight Strollers is the world's smallest foldable stroller, perfect for traveling. Mountain Buggy Nano Stroller From 6 months up to four years of age 13 lbs $$$ The Mountain Buggy Nano Strollers is a versatile lightweight travel stroller that comes with a travel bag. Inglesina Net Stroller From around 6 months and children up to 55lbs 11.2lbs $$ The Inglesina Net is a lightweight and robust stroller, great for traveling. Maclaren Quest From newborn to children up to 55lbs 12.5lbs $$$ The Maclaren is a sturdy stroller that comes with an attached carrying strap and other useful accessories. Summer Infant 3D lite From newborn to children up to 50lbs 12lbs $ The Summer Infant stroller is a reasonable priced yet sturdy and practical stroller. Besrey Airplane Stroller From 6 months to 36 months 10.8 lbs $$ The Besrey Airplane Stroller is great for international travel, folds to a compact size and comes with a carry bag. Delta LX Side By Side Tandem From 6 months up to 36 lbs 19 lbs $ The Delta LX Tandem Stroller offers great value for money and can be gate checked. Let’s have a look at these travel strollers in more detail. The Baby Jogger City Tour is one of our favorite travel strollers for several reasons. Not only is it lightweight with just over 14 pounds and comes in different colors. 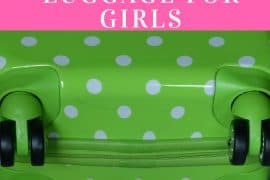 It also comes with a backpack style carry-bag that makes it so convenient to carry it while not in use and also to store it away safely in the airplanes overhead bin. Additional features include a parent console, a baby bar, and a cup holder. The five-point harness keeps your child secure, and the padded seat makes a ride in this stroller very comfortable. The back of the seat can be nearly entirely reclined. The one-hand quick fold is great to pack the stroller away quickly and unfold again. The storage basket is reasonably sized for this type of stroller. You can comfortably fit nappies, changing clothes and other small items. The Baby Jogger City Tour is easy to push and to maneuver with one hand. The seat might be a bit shallow for some kiddos, but that is just a minor con for this great travel stroller. The Zoe XLT Deluxe Umbrella Stroller is a great product and offers amazing value for money. This umbrella stroller features a large canopy, two removable cupholders, a magnetic peekaboo window, double side pillows, and a footrest for a comfortable ride. To top it off, Zoe offers a lifetime warranty on the wheels. They will get replaced with no questions asked. Perfect! The back of the seat doesn’t recline all the way down, and the handle is not adjustable. It would be nice to get this stroller with a travel bag or shoulder straps. Otherwise, the wheels are great for all sorts of terrains (think cobblestones in Europe) and the stroller is easy to fold down. By the way, the Zoe XLT Deluxe Umbrella stroller is available in eight colors. The GB Pockit stroller is the world’s smallest folding stroller and with only 9.5 pounds also one of the most lightweight strollers. Onc it is folded, it measures 11.8″ x 7″ x 13.8″. The Pockit stroller features an adjustable five-point harness system with padded shoulder straps, a small basket, and a sturdy aluminum frame. The drawbacks with this stroller are that the handles are not adjustable and you can’t recline the seat. The sun canopy is also very tiny. Otherwise, if you are looking for an ultra lightweight and ultra-small (when folded) stroller that it easy to maneuver, then the GB Pockit stroller might be the best choice for you. As an extra bonus, the stroller comes with a complimentary baby gear XPO stroller hook. The Mountain Buggy Nano is a versatile stroller which works excellent in all sorts of terrain and is still lightweight and small enough to be gate checked or count as check-in luggage. It fits comfortably underneath the seat. If you take off the wheels (which should be easy to do) it even fits into the overhead compartment. We do like the seven colors, the five-point harness, large canopy, and the ability to recline the seat so your child can have a comfortable nap. The Mountain Buggy Nano has an inbuilt car seat adapter which works with selected infant car seats. A big plus! It also comes with a travel bag and shoulder straps. The drawbacks for us are that you need both hands to fold the stroller and some customers said that it can be quite tricky to close. The price is for the Mountain Buggy Nano is higher than for other umbrella strollers. Overall, it is a sturdy, high-quality stroller suitable for international travel. The Inglesina Net Stroller weighs 11.2Ibs, is very sturdy and has high stability. It is easy to open and close and comes with a practical shoulder strap. Additional features are a storage basket, a cupholder, and a generous sunshade. The base of the seat is made from mesh that provides air circulation. A fantastic way to keep your youngster nice and cool even in hot conditions. A great feature is also the removable and washable seat pad. The back of the Inglesina can be reclined into two positions. That means you can’t recline it completely flat. But it is still comfy enough for your child to have a nap in there. This stroller is suitable for children who weigh up to 55Ibs. Overall, the Inglesina Net Stroller is a great buy considering the various features and the reasonable price. You can choose from six different colors: black, green, red, pink, black/blue and orange. The Maclaren Quest Stroller is lightweight with 12.5 Ibs. It’s a sturdy stroller that comes with an attached carrying strap. It has got a shopping basket and also includes a wind-resistant rain cover. Other features are a head hugger, shoulder pads, and a buggy ID Tag. With one hand you can fully recline the seat. The leg rest is extendable which is an excellent feature and makes it more comfortable for your child to sit in and rest their feet. The Maclaren Stroller is suitable for newborns and children who weigh up to 55Ibs. It even features a Newborn Safety system with a head and foot barrier. The Maclaren Quest Stroller is available in six different colors on Amazon. The Summer Infant 3D Lite Convenience Stroller is available in 6 colors and weighs less than 12 pounds. The aluminum frame is lightweight but still durable and sturdy. This stroller features a cup holder, a small sun canopy and a strap to carry the stroller when folded down. The Summer Infant Stroller is suitable for newborns up to children who weigh less than 50Ibs. It is a Bestseller on Amazon with over 2000 sold items due to its low price tag and quality. You can choose from six colors: black, citrus, blue, tangerine, pink and green. 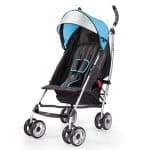 So if you look for a reasonably priced yet sturdy and practical stroller, the Summer Infant 2015 3D Lite Convenience Stroller would be a great choice. The Besry Airplane Stroller has been specifically designed for traveling. With only 10.8 pounds it is one of the most lightweight options for our recommended travel strollers. The Besry Airplane stroller folds down to a surprisingly compact size, and with the travel bag, it looks just like a carry-on bag. Things we love are the removable bar handle, the large sun canopy, the storage basket, and how easy it is to maneuver. You can quickly fold the stroller with one hand, but you’ll need both hands to put it up. The aluminum frame keeps this compact stroller sturdy, and a nice extra feature are the lockable front wheels. The only drawbacks we can see is that it is not reclinable and only suitable for children up to 36 months. Overall, the Besry Airplane stroller is a neat, compact travel companion that fits easily into the airplanes overhead compartment. It comes in three different colors. The Delta Children Side By Side Stroller is a fantastic choice when you are traveling with two young children. With a weight of just 19 pounds, it fits the airline requirements for carry-on strollers so there shouldn’t be any problems at all to take it on the airplane. The stroller folds down easily, features a five-point harness, a footrest, mesh pockets behind the seats, as well as a cup holder. The seats can be reclined independently from each other (only by a couple of inches), so your kiddos can sit comfortably. The sun canopy is a bit on the smaller side, but you could purchase a detachable sunshade to solve this issue. But in our opinion, this is just a minor drawback. Overall, the Delta Side By Side umbrella stroller offers incredible value for money and is fabulous when you are traveling with two young children. Well done, Delta! 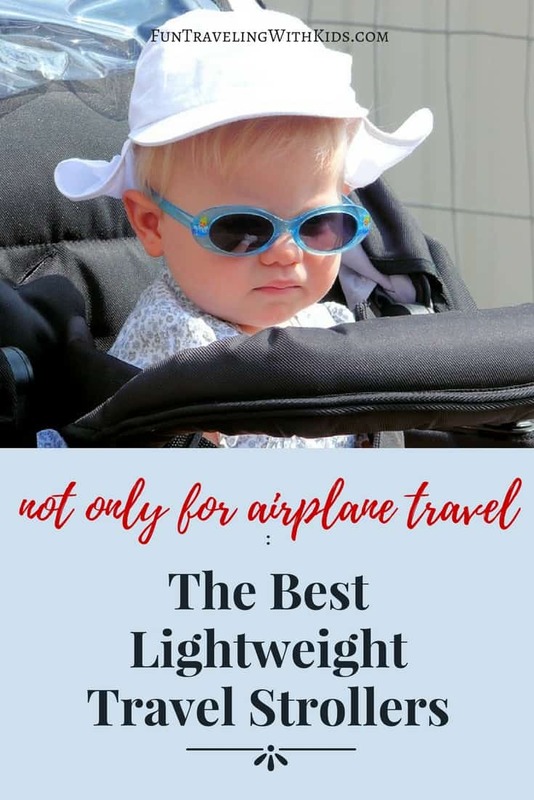 All of our reviewed best lightweight travel strollers meet the requirements of the airlines, so you will be able to take these buggies on the board of a plane. The strollers weigh under 20Ibs/9kg each. They fold inwards when collapsed. They can fit into the overhead bin on the plane. 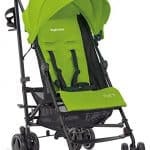 These best lightweight strollers offer excellent value for money and have been tested by hundreds of traveling families. 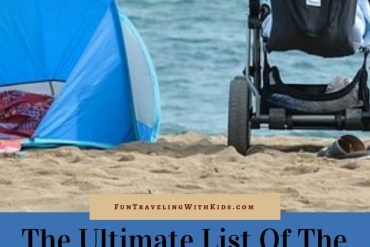 Overall, our top choices of lightweight travel strollers are sturdy, robust, easy to use and most of all, comfortable for your little darling. 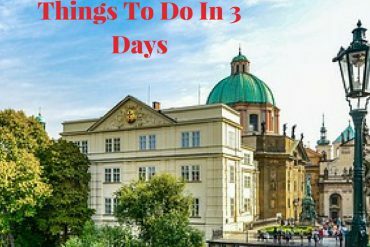 funtravelingwithkids.com is a participant in the Amazon Services LLC Associates Program, an affiliate advertising program designed to provide a means for sites to earn a commission by advertising and linking to Amazon properties including, but not limited to, amazon.com. 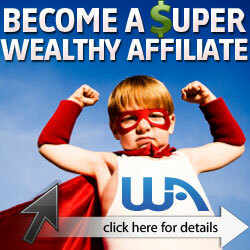 Amazon offers a small commission on products sold through their affiliate links. 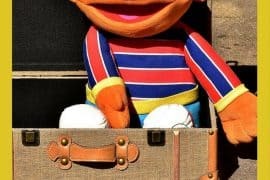 If funtravelingwithkids.com links to an Amazon product (with a special code for affiliates embedded in the link) and you buy this item or any other product, funtravelingwithkids.com will get a small percentage of the sale.